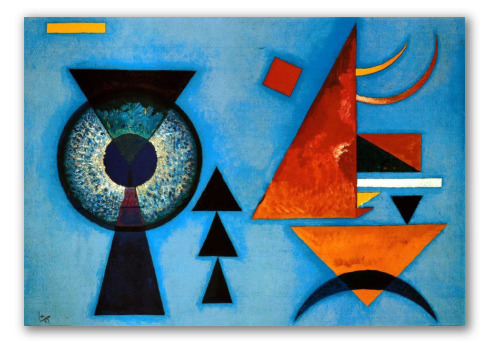 "Soft Hard" by Kandinsky, Russian Painting. 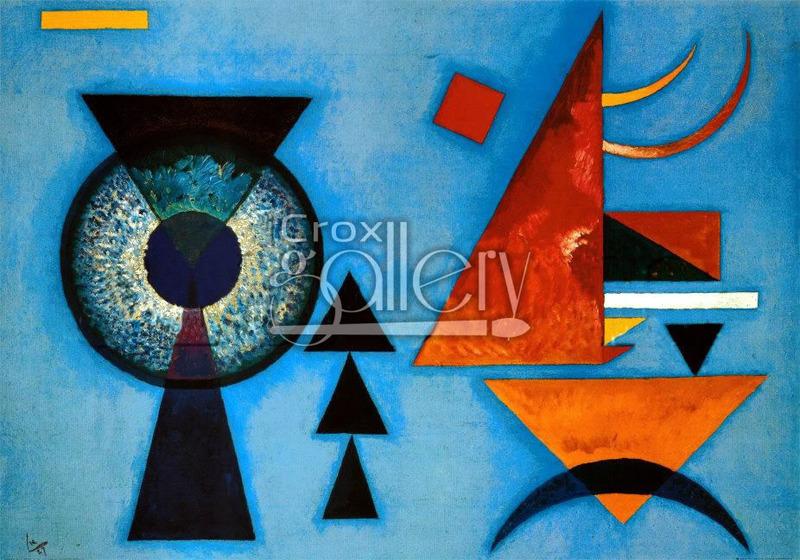 Soft Hard is a work of art in which the Russian artist, Wassily Kandinsky, wanted to express the contrast between softness and hardness using geometric figures and an electric blue background. This painting amuses the viewer and makes him take a part in the clarity of the process in which the artist expresses emotion.